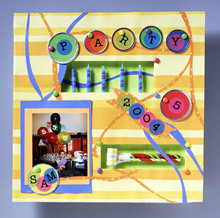 Have a ball at your next big birthday bash with a little help from AllFreeHolidayCrafts.com! You’ll have another reason to celebrate when you take a peek at the new eBook Happy Birthday to You: 8 Handmade Birthday Cards, Birthday Crafts, and Birthday Activities. 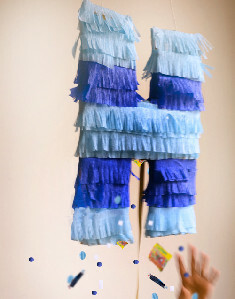 This free eBook is chock-full of ways to decorate and enjoy every birthday party that you throw. Plus, if you’re looking to attend a party, or show your gratitude to your guests, these birthday crafts include a selection of handmade birthday cards perfect for everyone. 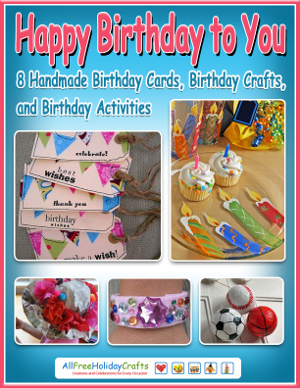 The projects in the Happy Birthday to You: 8 Handmade Birthday Cards, Birthday Crafts, and Birthday Activities eBook include a selection of birthday crafts hand-picked to help you plan the perfect party for yourself, your kids or a loved one. 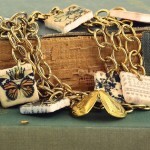 These craft tutorials include detailed pictures and step-by-step instructions that will teach you “how-to” with ease. Before you blow up balloons and bake a cake, set the mood for your next birthday bash with a few handmade birthday crafts that will blow your guests away. 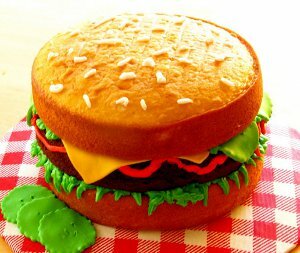 Looking to throw a kiddie party? Have at it with the help of this free eBook. 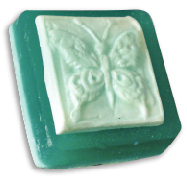 You’ll have your choice between a Harry Potter theme for kids, a sports theme for boys or a princess theme for girls. 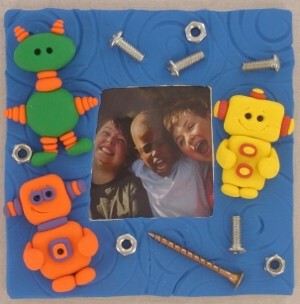 Find the perfect handmade birthday activity for the little birthday boy or girl that you love. Whether your inviting over a crew of little wizards or the little guy’s baseball team this eBook has great birthday crafts for boys. We’ve got the girls covered too with pretty princess bracelets and newspaper party hats that every little diva will love to rock. Even if you’re simply looking to add a little extra pizazz to your next party, Happy Birthday to You: 8 Handmade Birthday Cards, Birthday Crafts, and Birthday Activities has a selection of party planning options that will upgrade your next birthday party from good time to the perfect party to remember. 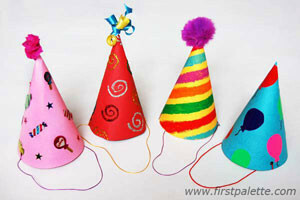 How soon is your first big birthday bash of 2013? Surprise! AllFreeHolidayCrafts.com has exciting news for all of you readers. We love featuring crafts for holidays that come around once a year, but there’s one day that we get to celebrate during any time of the year. Birthdays are a special part of all of our lives, and what better way to wish someone well on their big day than with crafts? For those of you looking for ideas for a unique birthday gift or a stand-out party decoration, start your search below with these free festive birthday crafts. Bright Balloon Wreath – This top birthday craft shows that you can get your party popping with birthday leftovers. The creative rainbow pattern is a surefire way for your guests to know where the party is, and the materials save money on party supplies. 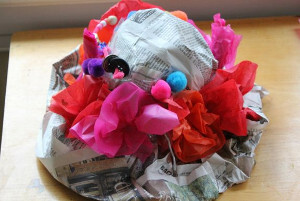 This is one of our many recycled wreath projects, so be sure to check out our birthday page for even more. Birthday Princess Bracelet – If you’re throwing a party for your little one, you’re going to need a craft that will keep everyone busy and having fun. Try our popular bracelet craft; it’s made of recycled cardboard tubes and can be decorated with anything your birthday girl can imagine. This easy DIY bracelet allows all your little party guests to use their own ideas to look just like royalty. 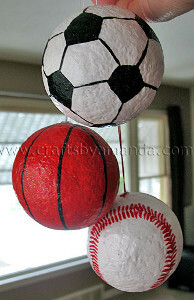 Sports Ball Party Ornaments – Not only are our birthday crafts for little princesses, but also for future sports stars. One of my personal favorites is this group of ornaments because they look realistic and only require styrofoam and paint. You can create anything from a baseball to a tennis ball with plenty of time to spare. Quilled Birthday Candles – Safety is one of the most important elements of party planning, and this little craft provides an elegant alternative to wax candles. 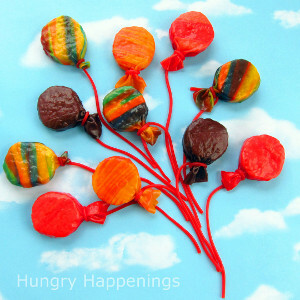 They’re made entirely of paper and wire, which means there’s no mess and no risk of fire. 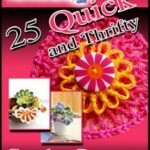 These quilled candles look intricate, but are very easy to make, and can be reused for future birthdays to come. Hidden Message Thank You Cards – No party can be complete without thanking all of your guests. I know I would be touched if I received a personalized thank you card like this; the colorful flaps each reveal their own secret message that you can customize as little or as much as you want to. Forget store-bought cards and really show your heartfelt thanks after your next party. 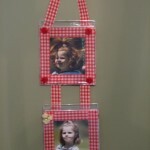 All of us at AllFreeHolidayCrafts.com are so excited to be able to share these new birthday craft ideas with you. 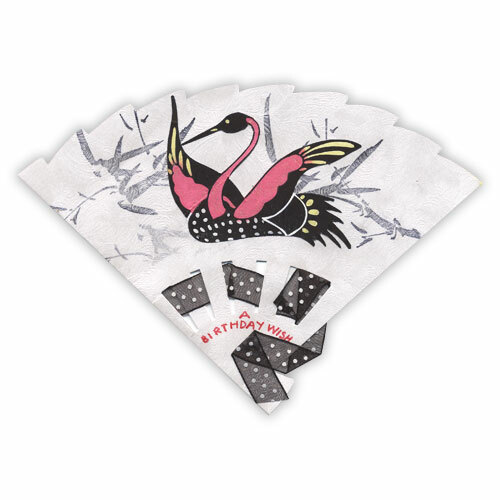 Be sure to check out our page if you’re interested in putting your own twist on birthday crafting. What’s the best birthday present you’ve ever received? Homemade or store-bought, we want to know, so comment below!